I enjoy celebrating the “behind the scenes” contributors to Hindi cinema history as much as I do the actors (and dancers). One such person is Vrajendra Gaur, who wrote dialogues and screenplays for such favorites of mine as Howrah Bridge, China Town, Teen Deviyan, Kati Patang, and Sharmilee. His career spanned the 1940s through the 1970s, ending with The Great Gambler in 1979. Recently his son Suneel Gaur reached out to me asking if I wanted to see a photograph of his father with Rajesh Khanna; of course I did, and of course I pestered him for more. There is always more, and indeed that is the case here. 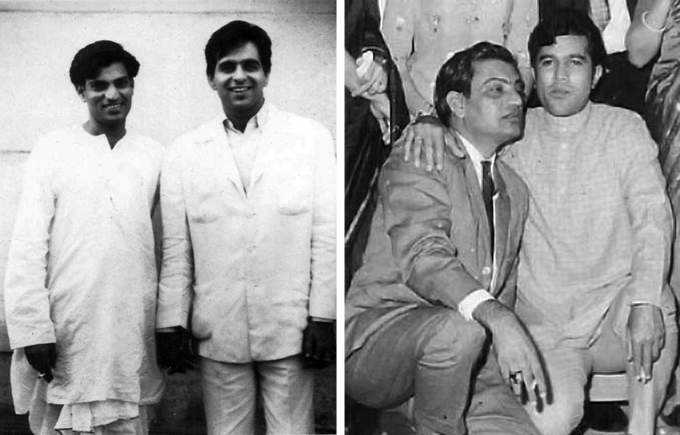 And I must just add that I think the photograph above left, of Mr. Gaur with Dilip Kumar, is one of the sweetest pictures I have ever seen. They look so young, so full of promise, and like fast friends indeed. 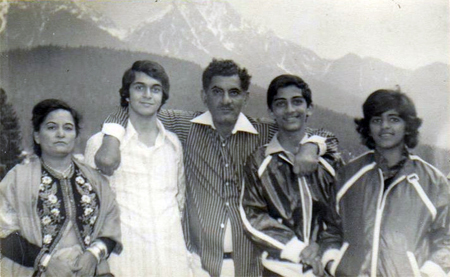 The prolific writer-lyricist-director-author-poet-journalist died 32 years ago on August 7th 1980, and his sons Suneel and Rajesh Gaur pay tribute to their father on his death anniversary (and all of the photographs are courtesy of them too). Most of you know by now that I am not terribly enamored of “earnest” movies that bludgeon the audience (i.e. me) repeatedly with trite patriotic messages. I feared this film would be like that but happily I was wrong. It is very enjoyable: part history lesson, part celebration of newly independent India, part debate whether violence is ever justified or not—still a relevant topic. 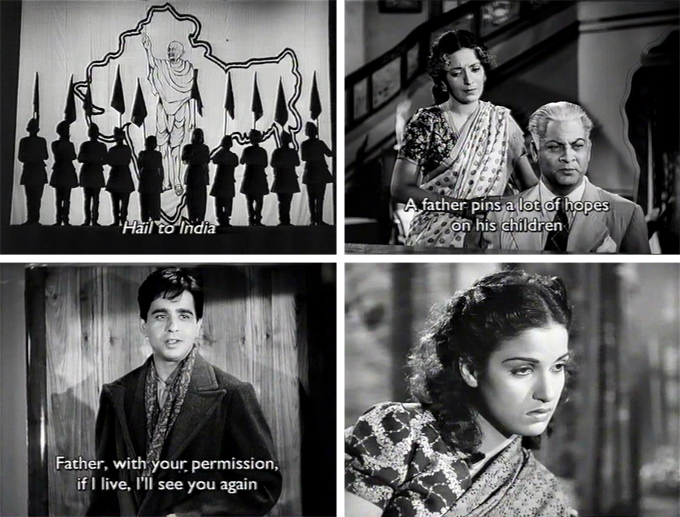 Mostly, though, it’s a film about relationships, the most powerful one at hand being that between a young freedom fighter (Dilip Kumar) and his father (Chandramohan) with British loyalties. The title Shaheed (Martyr) can be applied to just about every character in the film, but the performances are, if sometimes a bit melodramatic, always heartfelt. I did get an excellent Chandramohan Nahiiin! Face but that can only be called a bonus. With eyes like that, how can he help it? The characters are well-drawn and complex, and there are touches of humor throughout to lighten what could otherwise be (okay, IS) a pretty depressing plot. And the chemistry between Dilip Kumar and Kamini Kaushal is very sweet, too. Here we have another relatively obscure film which does not deserve to be abandoned to the unprofessional shenanigans of Ultra, although it isn’t any masterpiece for sure. 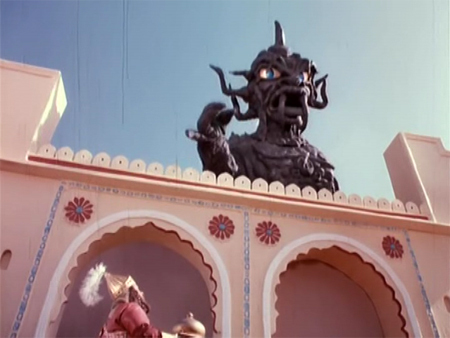 But stars Shashi Kapoor and Sharmila Tagore are young and gorgeous, as is the exotic setting (Kenya, complete with Masai warriors and lovely wildlife footage). 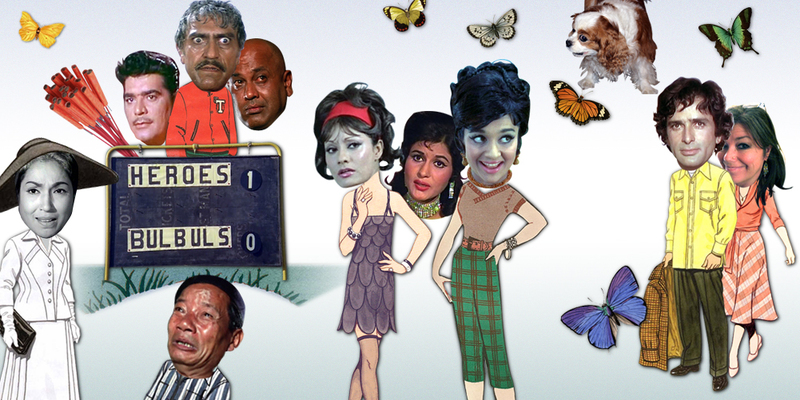 They are backed up by the *extreme* cuteness of Laxmi Chhaya—who dances several times too—and the blessed presence of stalwarts Madan Puri, Rajendranath, Nirupa Roy, and Jayant. It is of course not subtitled and much of the angst went over my head (not necessarily a bad thing); but I loved the travelogue eye-candy of the first half and giggled through the melodramatic soap-opera quality of the second half, complete with crazed camera angles and abundant overuse of the zoom lens, Emoting Shashi, and strident musical effects. One of the best things about the internet is how much easier it is to find information about people you are interested in. Of course, the downside is that much of it is misinformation, which makes it all the nicer when you stumble across a source that you can have faith in—such as a family member! Of course for we fans of old Hindi cinema, there is still not much out there; this makes me even more grateful when someone like Rakesh Anand Bakshi contacts me. Rakesh is genuinely interested in preserving and sharing his great lyricist father Anand Bakshi’s legacy, and so he should be. Anand Bakshi wrote lyrics for more than 600 Hindi films, including many huge hits and many of my more obscure favorites too!